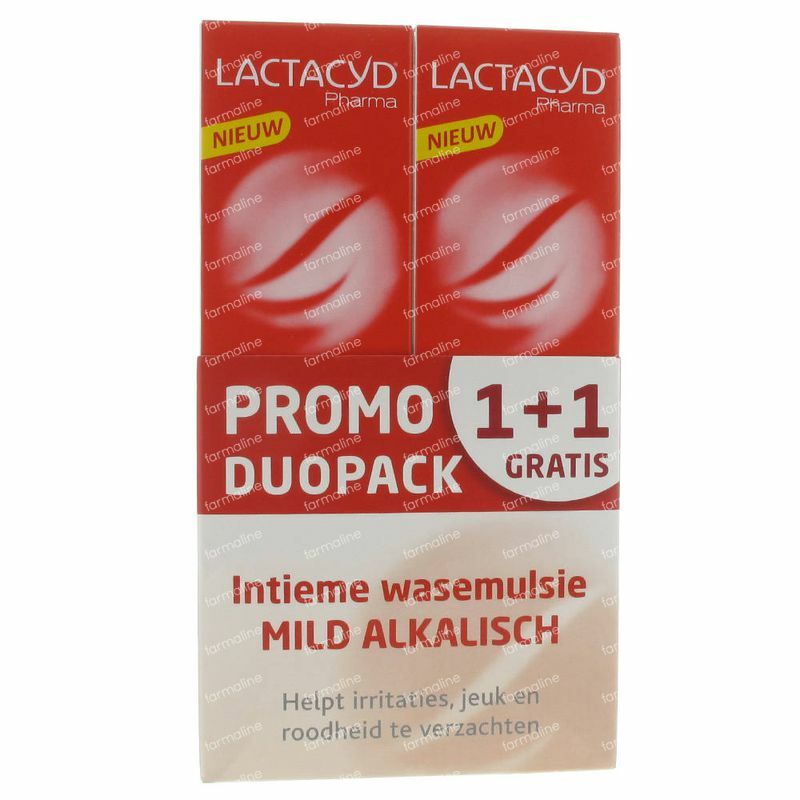 Lactacyd Pharma Alkaline Promo 1+1 Free 2x250 ml order online. Lactacyd Pharma Mild alkaline is an intimate washing emulsion that helps soothe irritations, redness and itching. Enriched with soothing calendula extract. Gynecologically tested. Hypoallergenic. Helps protect and restore the natural balance of the intimate area. Can be held up to 12 months after opening.